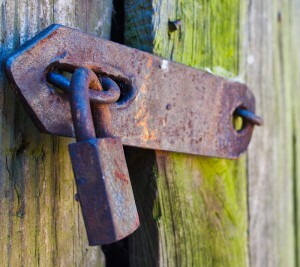 What features must a padlock have not to rust even under the worst climatic conditions? 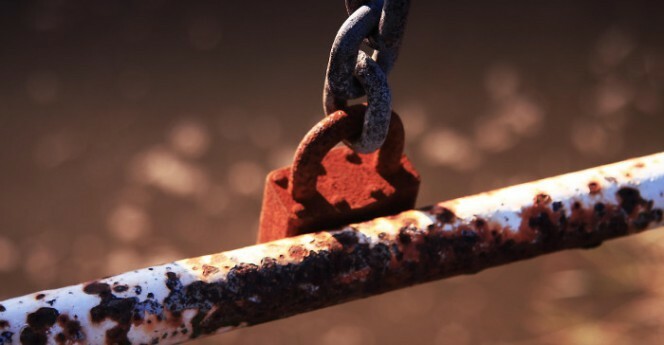 28The first enemy of a padlock are potential attackers, but, especially if used outdoors, immediately afterwards they are rain, salinity and dust, which in the long run may corrode it, let it rust and block it, such as to render it useless. These harsh climatic conditions are to be found especially close to the sea, but acid rain in towns or temperature fluctuations in the mountains can also put a strain on padlocks. Exposure to inclement weather can, in the long term, cause normal padlocks to rust, rendering them unusable (photo by barit). 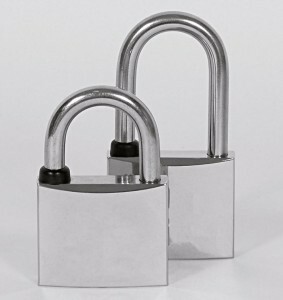 To cope with these problems most manufacturers have padlocks in their catalogue which are usually referred to as “marine “ because they have features which make them more resistant to moisture and salinity in the air, which is particularly high near to the sea. Generally, the differences compared with the basic models are that at least the hardened steel shackle is replaced with one made of stainless steel and that the brass body is chrome-plated, to make it resistant to corrosion. The general marine padlocks have a stainless steel shackle and a chromed-plated body, in order to better withstand moisture. However, the weak point of almost all the so-called “marine” padlocks is that the internal components are not modified. An aspect which indicates that the internal components have probably not been optimised to resist rust and corrosion is the presence of a rubber gasket between the body and the shackle. The presence of a rubber gasket between the body and the shackle indicates that the internal components are not resistant to moisture and therefore need to be protected. The purpose of the gasket is to protect the internal components by limiting the entrance of moisture. The shackle is made of stainless steel in order to be unaffected by rust and corrosion. The solid brass body has a copper-finish, is nickel-plated and chrome-plated with chemical treatments of the highest quality and with considerable thicknessesto achieve maximum corrosion resistance. The inside of the body has bores and outlets which allow the moisture to escape without stagnating inside. The size of the internal components and the drain hole also allow the residues left by the salt to be eliminated during use, thus preventing the mechanism from being blocked. The springs of the latches and the shackle are made of stainless steel to make them resistant to rust and corrosion. 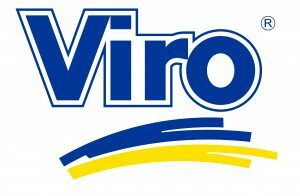 In addition to the stainless steel shackle and the chrome-plated body, the Viro “Sea” series padlocks have the internal mechanism designed to withstand the harshest weather conditions. 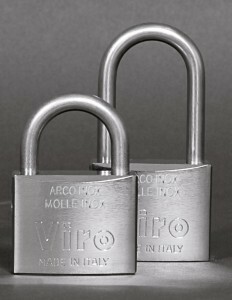 An armoured padlock or a monoblock padlock is recommended where maximum resistance is needed to withstand possible attacks, but a Viro “Sea” series padlock may be the right solution where you have to deal with particularly aggressive climatic conditions in order to simultaneously achieve both security and reliability over time. This entry was posted in Padlocks and tagged padlock on 28 April 2014 by Mara Rossi.